Sony BMG Special Markets released a series of CDs in November 2007 called Super Hits — all priced inexpensively and featuring artists like Kenny Chesney, The Jackson 5, and Judas Priest. The CDs were marketed to the record buyer who may want to buy an inexpensively-priced CD at their drug store or shopping store (like Walmart). 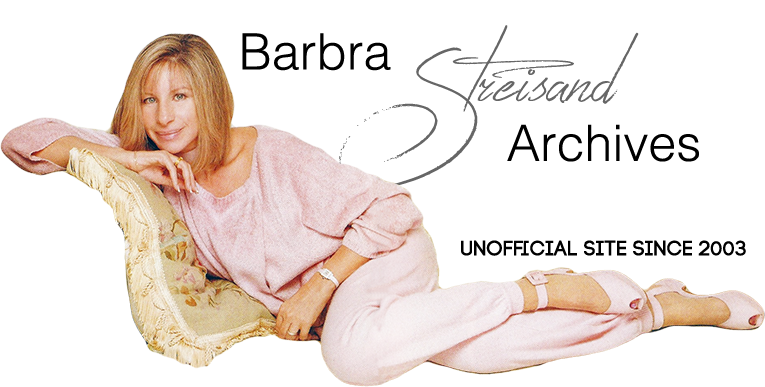 Die-hard Streisand fans quickly picked up on a discrepancy with the Streisand Super Hits CD. Some online vendors had a different track listing! Even some Streisand fans who bought the CD at local stores noticed that two songs, deep cuts from Barbra's unreleased material, were listed as tracks 4 and 5 on the CD's back cover! "Look"—an English-language song from the Je M'appelle Barbra sessions, and "Our Corner of the Night", a 1960's pop song, were once released by Columbia Records as 7-inch vinyl singles, but have never appeared as digital files on a CD. Ultimately, these two songs were not approved to appear on the Super Hits CD, although they were considered for a while. Please note that all of these tracks are previously released. Above: The Super Hits CD with the incorrect back cover, which lists "Look" and "Our Corner." About 300 CDs with the incorrect back cover art somehow made their way to stores, which is the cause of confusion with this CD. Sony BMG Special Markets told the Barbra Archives that they recognized the problem right away and corrected it immediately. So ... to summarize: There are no discs out there with "Look" or "Our Corner of the Night" on them. All the Streisand Super Hits CDs contain the 10 previously-released songs listed above. A small amount of discs did manage to get out there with the misprint on the back cover, but it is only a misprint. "Look" and "Our Corner of the Night" will, most likely, appear on a future Streisand album—although Barbra Archives has no specific information at this time.